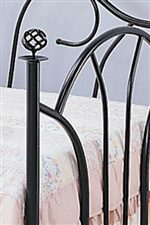 Available in either Black finish or Ivory finish, this metal daybed adds great casual contemporary style to a bedroom or a guest bedroom. The high fan shaped back creates an elegant look, with filigree knobs accenting each post. 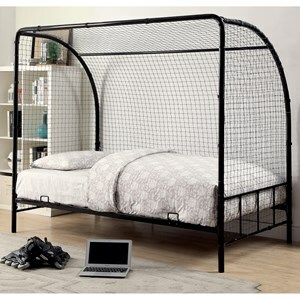 This bed offers a great place to relax during the day, and an ideal spot to sleep at bedtime. 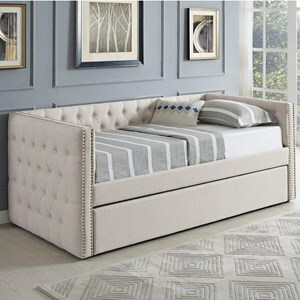 Place this multifunctional daybed in your home for a lovely style update. Mattress not included. 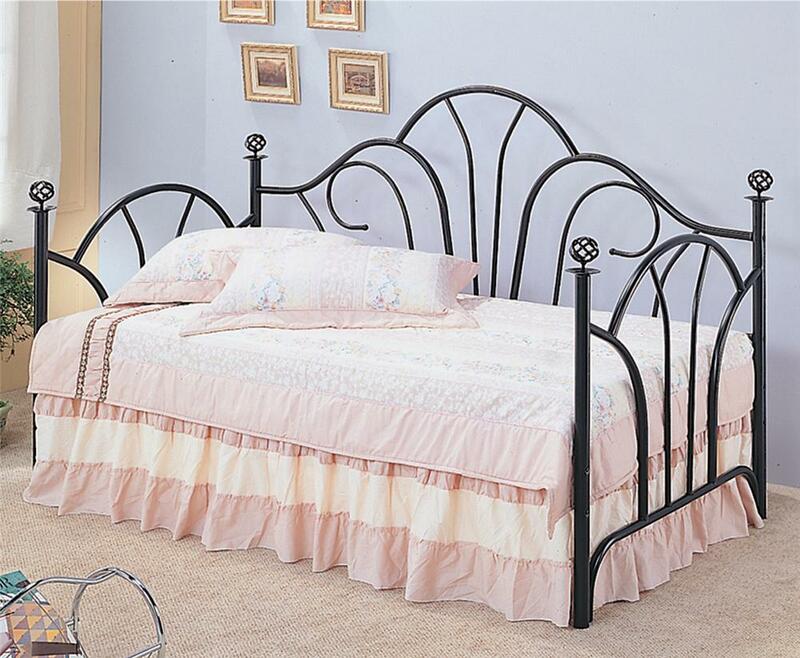 The Vine Twin Metal High Back Daybed with Filligree Knobs by Coaster at Rooms for Less in the Columbus, Reynoldsburg, Upper Arlington, Westerville Ohio area. Product availability may vary. Contact us for the most current availability on this product. 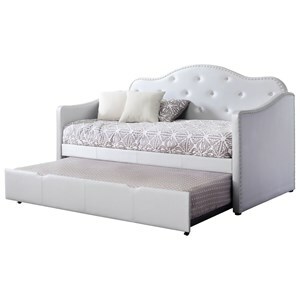 2613 Twin Metal High Back Daybed with Filligree Knobs 1 79" 39" 47.75"
Finish & Paint Options Available in Black or Ivory metal finishes. Case Detail Round metal legs, fan shaped back, filigreee bed post knobs. The Vine collection will give your casual home a beautiful look. The comfortable daybeds feature gently curved metal frames, for a warm look. Available in Black or Ivory, this piece will easily blend with your decor to create a multifunctional space that is ideal for a spare room. 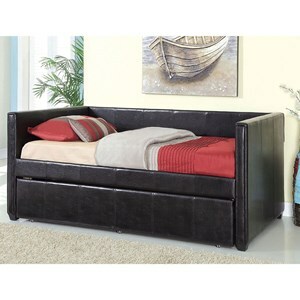 Great for daytime lounging, and sleeping at night, this daybed will add a great look to your home. The Vine collection is a great option if you are looking for Casual furniture in the Columbus, Reynoldsburg, Upper Arlington, Westerville Ohio area.